Happy International Women’s Day! How happy is it, really? If my self-selecting Facebook feed is to be believed, not excessively so. Finally, the Alberta budget came down yesterday, with news that higher education is getting a cut of 6.8%, the largest cut of all in this budget, while also resuscitating rhetoric about the need for research to serve industry purposes more closely. So, a less-than-happy IWD by any standards. I will drown my sorrows by leeching energy from the Interdisciplinary Undergraduate Conference in Feminist, Gender, and Sexuality Studies at the University of Alberta. And you? What are your worries this IWD and what do you do about them? I am concerned about the status of women in academe. My concerns are not reflective of any particular institution, but are concerns about the general environment across all institutions in Canada (and abroad). I want to be clear about that–my dissatisfaction is about the difficulties and challenges in a largely paternalistic (if not outright misogynistic) and conservative intellectual culture, not a reflection of any particular environment. Across the board I worry about women's safety bodily, and intellectually. I worry about what voices are being represented even by feminists in academic institutions. Whose stories and voices are being heard, and whose are dismissed? I worry about the safety of radical female scholars, and of minority students (particularly female students) whether undergraduate or graduate students. I worry about what types of feminism are being practiced and preached in academe (and the overemphasis on preaching over practice). 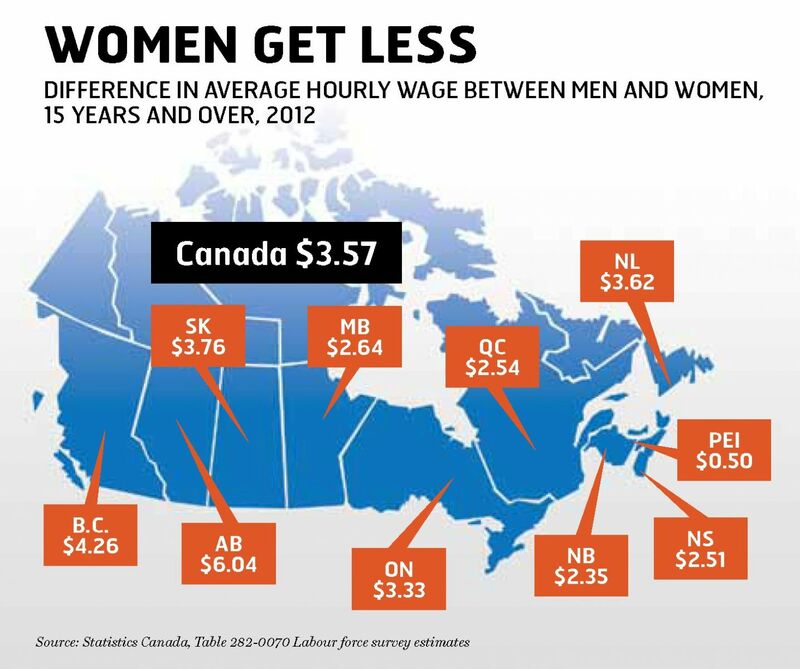 I worry about the sacrifices women (and in particular feminist-identified women) have to make to further our careers. I worry about finding that balance between being true to myself and doing what needs to be done to ensure that I have a career to which I can look forward. I worry about the balance between emotional labor and the demands of self-protection or necessary activism. I am not yet sure what to do about any of these issues. I am still trying to work it all out. Thank you so much, Stephanie, for articulating what I, in my rage, could not. 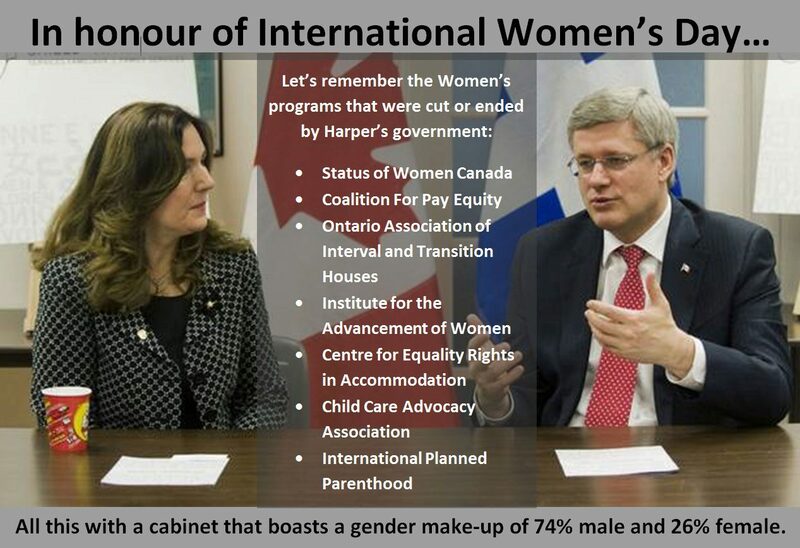 Unfortunately, the events of this IWD only served to turn my rage into full-blown disgust, after the Alberta budget was announced with not only cuts of 7.2%, but strong rhetoric of academic “centralization” and streamlining across the province. The premier was quoted in the Edmonton Journal saying “We cannot be 26 postsecondary institutions that all have equivalent departments of political science and English and history and chemistry and biology and business. And, and, and,” she said. “We have a responsibility to make sure those tax dollars are being used effectively.” At the same time, the higher education minister called for less curiosity-driven research and more of the kind that serves to drive and diversify economy. Wow . . . so is she encouraging a more business-driven model of education which further emphasizes the hard sciences and economic/business areas over arts? And teaching (i.e. turning students into basic income units and degrees into something given to people because they paid for it) over research? Any of that would also mean privileging more masculinist modes of valuation of areas of research and employment. And in more practical everyday terms, it means encouraging areas in which more men are employed and achieve higher levels of status and remuneration than women. She is excusing and encouraging the dismissal of arts as a necessary good for the province (tying economic considerations–which frankly are tied in with a certain type of patriotism–to considerations of which areas of research are privileged and funded). Instead of pushing for change, we just end up capitulating to an already broken system.